It's always a heartwarming experience when a person or an organization voluntarily supports a good cause. 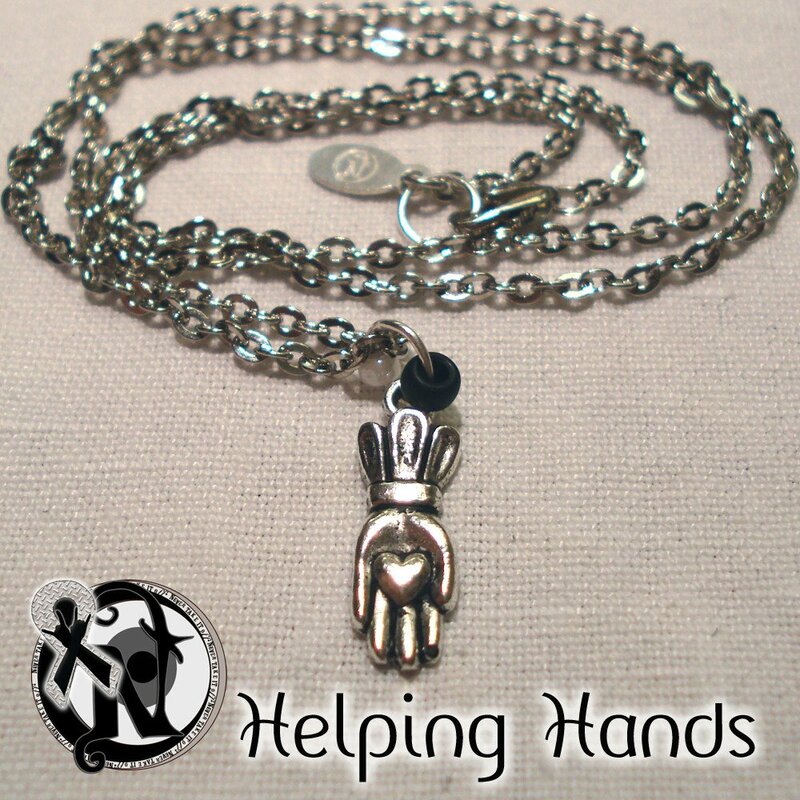 And we felt that warm feeling on June 14, 2014 when we had the opportunity to present a generous donation to non-profit organization, Sage's Army, on behalf of Juliet Simms' vow jewelry company, Never Take It Off. 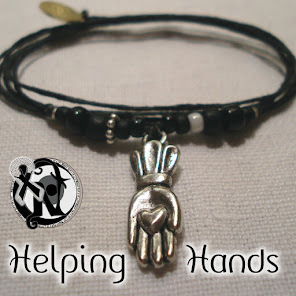 The partnership between Helping Hands Rock Reviews and Never Take It Off started in late 2013, when Never Take It Off created its "Helping Hands" line and offered to donate a portion of the proceeds to one of the charities we support through our publication (see our interview with Juliet Simms for more details). The launch of the line was very successful and, within a few months, Never Take It Off sent us a check to present to Sage's Army. We cannot say enough good things about Never Take It Off. Not only do they make cool jewelry, but each piece they sell comes with a list of vows of positive encouragement to "never give up, never back down and never stop trying." And if that alone wasn't impressive enough, their commitment to supporting charities like those close to the hearts of Helping Hands Rock Reviews really shows the good hearts of the people behind the company. Speaking of good hearts, we have to give some love to Sage's Army as well. After Carmen Capozzi experienced the loss of his son to a heroin overdose, he made it his personal mission to begin reversing the heroin epidemic that devastated him and his family. 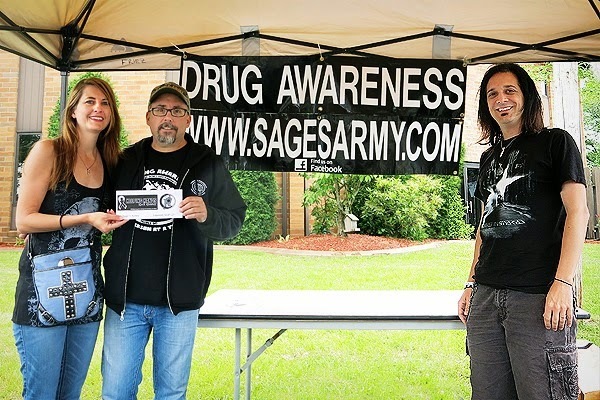 Sage's Army speaks at schools, works with legislators, and distributes information to children, families, communities, and others facing the threats posed by the pervasive drug problems in the United States. We are proud to be part of this partnership with Never Take It Off and Sage's Army that has already contributed to making a difference in the world!